Listing courtesy of NJMLS / Jose Rodrigues / Elite Realty Group, Inc. Similar homes that sold in bidding wars went $14k above asking price on average, but some went as high as $72k over asking price. Hello, I’m interested in 20-22 Van Velsor Place and would like to take a look around. The details on 20-22 Van Velsor Place: This house located in Weequahic, Newark, NJ 07112 is currently for sale for $149,000. 20-22 Van Velsor Place is a house with 6 beds and 6.5 baths that has been on Estately for 4 days. 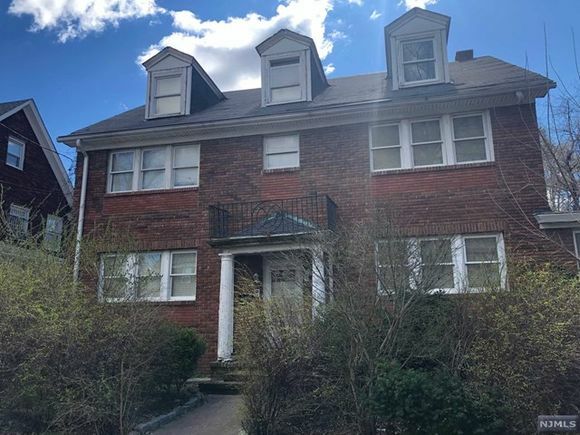 20-22 Van Velsor Place is in the Weequahic neighborhood of Newark and has a WalkScore® of 72, making it very walkable. This house is in the attendance area of Early Childhood School South, Eagle Academy For Young Men, Weequahic High School, Girls Academy Of Newark, Bruce St School, Chancellor Avenue School, George Washington Carver School, New Jersey Regional Day, Hawthorne Avenue School, and University High School. Listing Provided Courtesy of Elite Realty Group, Inc. The data relating to the real estate for sale on this web site come in part from the Internet Data Exchange Program of the NJMLS. Real estate listings held by brokerage firms other than Estately are marked with the Internet Data Exchange logo and information about them includes the name of the listing brokers. Some properties listed with the participating brokers do not appear on this website at the request of the seller. Listings of brokers that do not participate in the Internet Data Exchange do not appear on this website. Source New Jersey Multiple Listing Service, Inc.